As a part of the Language Access Network of San Francisco (LANSF), and through a grant from the SF Office of Civic Engagement and Immigrant Affairs (OCEIA), MUA does community education and outreach on language access rights in San Francisco. 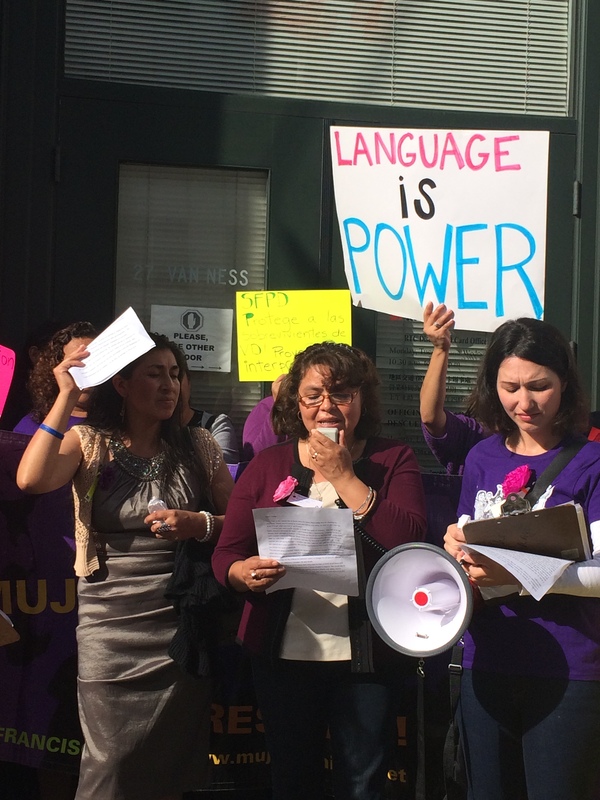 MUA informs the public about their rights to receive language services at any City department, as indicated in the San Francisco Language Access Ordinance, and provides direct assistance to members who need to file complaints for bad quality or lack of services. We also provide technical assistance to City Agencies to help them improve their language services. 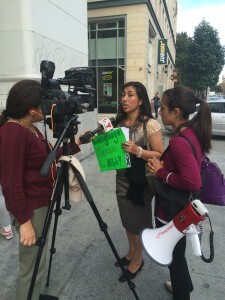 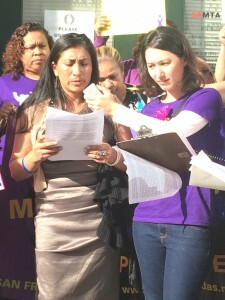 MUA organizes a press conference for a domestic violence survivor who was denied interpretation by SFPD.